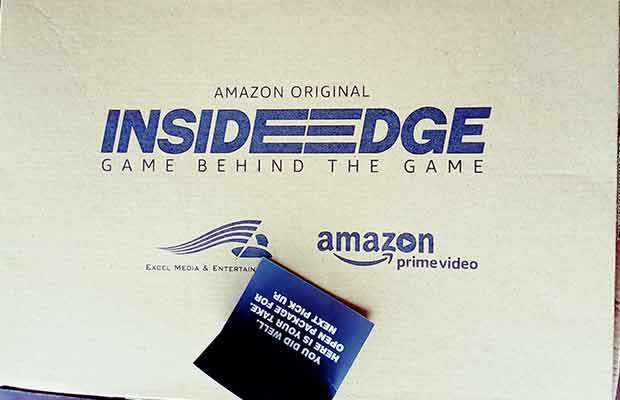 Amazon Prime Video and Excel Media & Entertainment’s Inside Edge is all set for its trailer launch. The makers of India’s very first take on web series Inside Edge – The game behind the game have some interesting invites for the trailer launch. The invite consists of a bat and dollars which signify the forefront of corruption in Cricket. Handcuffs signal towards the love and passion which is one of the major plots. 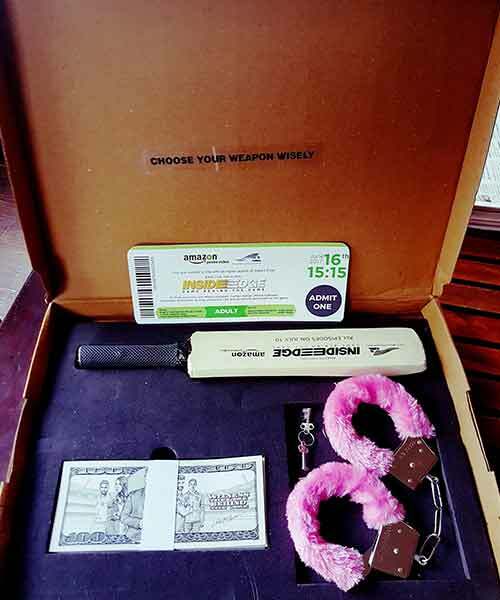 An adult admits card to choose all the weapons in the invite box wisely. The invite gives complete justice to the story line of Inside Edge which is a complete package of love, passion and courage that pulls no punches, minces no words, and takes no prisoners. Inside Edge has intrigued the audiences right after its teaser launch and has left the masses wanting more of it. The Inside Edge cast consists of Richa Chadha, Vivek Oberoi, Angad Bedi, Tanuj Virwani, Sidhhant Chaturvedi, Sanjay SuriSarah, Jane Dias and Sayoni Gupta. The trailer is surely going to be a visual treat for all the fans out there. Next articlePhotos: Salman Khan Takes His Being Human Cycle For A Spin In Style!